The Ezine Acts Fine Arts to Make Your Life Colorful! The Ezine Acts Fine Arts! The Ezine Acts Fine Arts page gets you some fine arts of your interest and teaches you at the same time how to take a…b…c… steps to use fine arts as a business, whether you want to do it offline, or online to make additional income and improve your life. While it is the site map (11 C) in the Ezine Act's Network, which works as an index to some art and cultural pages, it goes further with the tips and techniques included to help you define your interest in fine arts and then use that interest to generate more interests around it and make a living from it. 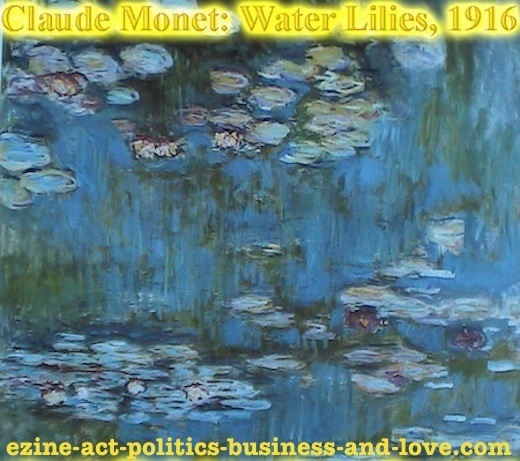 Ezine Act's Fine Arts: Claude Monet's Water Lilies, 1916. Most of the people I know have interests in fine arts. I could see that on pages about arts, whether on the Ezine Act's Network, or on other websites, as I could see the same interests, when I visit art galleries and art museums at home, or abroad. I saw even some psychologists using fine arts, music and even yoga with their methods while dealing with patients to solve psychological problems. But, here is the point, arts could color your life, make you relax and enable you to fire depression and rise above. How the Ezine Acts Fine Arts Help You Define Your Interest in Arts? First of all, it is not a matter to use fine arts to sell arts. Don't think of selling anything. Just think of the fine arts that you enjoy, or you like to know about, or you already know about, or you do by painting and cutting and curving some sculptures. If you do any genre of fine arts, you could easily get the a…b…c… steps mentioned on this spot of the Ezine Acts Fine Arts to build that genre of arts a web business. You would actually do it this way: First think of the theme of the fine art and then research it and study it based on the outcome of your search. Focus on having it narrow to the point, with potential expansion, when your fine arts narrow niches prosper. To do this, enter fine arts in the search box at the right column. View the set of 10 pages on the first pages that the search engines generate out of your term "fine arts". Look at the top, the bottom and the right upper corner of the results pages. Read the titles. You will find that there are some words added to the term "fine arts" and you may even see the Ezine Acts Fine Arts there. But, ignore this "4 words term". Take the other 2 or 3 words you see beside, or before the "fine arts" term. Those are keywords. That should give you the idea that people have typed those words while searching for "fine arts". So, those words are additional keywords added to the term "fine arts". You can even see in this example: Ezine Acts Fine Arts. You could take another like: best beaches fine arts. Got the idea? Well, you have come to a point to understand 3 things: The terms have values. Not just values, but economical values. The links you see at the right top of the search result pages, or at the top, or the bottom of those pages are advertising the search engines pull to make money from advertisers. This should make you sense the monetizing elements of the term and realize that the term has money in it. So, it is invaluable. Now, with this pleasing feeling look at the additional keywords added to the term on normal titles and descriptions on the main result pages. Get in the mode to think of values on these terms while reading them to know what they are about. Through these points on the Ezine Acts Fine Arts, you get the insights about this term and you get numbers of additional keywords to use with the term. Now, think of your experience with fine arts, or your tender with fine arts, or your hobby with fine arts, or your fine arts passion. What is very specific about it? Write all that you know, which makes the specification of your fine arts in keyword terms. Research and study every terms carefully. Use your instinct to focus on one of them and choose it as your theme focused website keyword. From this point, you know the term you have come with is your site name. But, you should build it. Shouldn't you? Before you build it, you should have some useful resources to know exactly the writing and the editing and publishing process, which is an art with its own techniques and which builds you great content, just like the content your read through the Ezine Acts Fine Arts. Therefore, the execution requires tools to help you handle the elements of the article writing about each of the main and the additional terms you have written for your fine arts business and enable you to process the optimization of that content right. Read more insights about optimizing a website at the inclusive Ezine Acts Optimization page. The CTPM process is the only website optimization in the world and it has more to do with all of this, as building that specific fine arts website you read about through the Ezine Act's, doesn't work without the guidance included in the website system. I hope that you found the tips and techniques I wrote on the Ezine Acts Fine Arts above very useful. If they are so of value, please tweet the page to Twitter, or share it with your social media services and the other services you see on the small buttons on the page. Thanks. Now, here is the Ezine Acts Fine Arts Index to enjoy more articles about arts, cultures and literature. 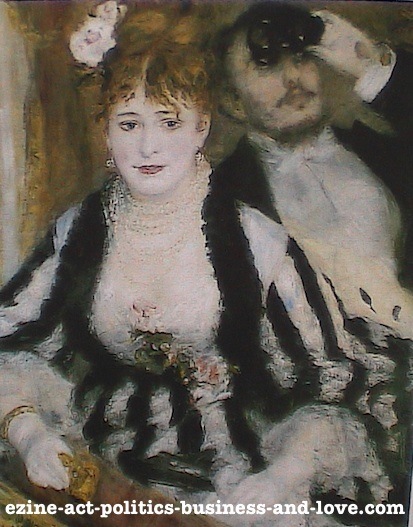 Ezine Act's Fine Arts: La Loge, 1874 by the French Painter Pierre Auguste Renoir. The Ezine Acts Fine Arts Index! The Ezine Acts Fine Arts (site map 11 C) is supported also by other sections at the primary Ezin Acts Art Links (site map 11 A), the Ezine Acts Art and Culture (site map 11 B) and it extends into French Paintings (site map 11 D), Ezine Acts Literature (site mp 11 E) and Ezine Acts Photo Gallery (site map 11 F). This section and the other Ezine Acts fine arts site maps are here to color your life and make you relax and fire depression. Not only that, but the sections make your browsing the website easier, since there are already more than 60 pages on this topic. Adventures of Tintin - home-biz-trends.com/adventures-of-tintin.html: The cartoons are amazing on TVs I watch, as part of the essential fine arts used on the classical adventures of Tintin, when they were first published. But, the process of the anime film is more interesting, although the invention of such animation has started with the Chinese and Japanese manga. Nowadays, it is making the most profits in the cinema industry, although many of the new movies of gigantic electronic cartoons are very silly. Thanks to Walt Disney to stand giant with his classic cartoons. 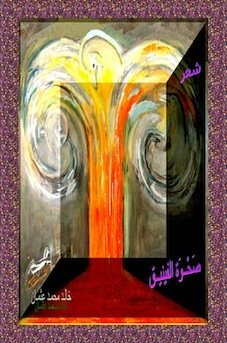 The indexed page on the Ezine Acts Fine Arts has also relevancy to the Ezine Acts Literature, whereby we see the reflection of the adventures as cultural, although the cult of animation is all the technique used to produce the cartoons, whether in magazines, or in movies. From this angle of presentation through drawings and other computerized HD systems, it belongs to the Ezine Acts Fine Arts Index too. Ezine Acts Art Links - home-biz-trends.com/ezine-acts-art-links.html: They are not mere links indexed on the primary site map of arts and on the Ezine Acts Fine Arts Index, but they are pages with insights to open the world of arts to interested readers to enjoy their time reading, or to discover some ways to make their lives more better. 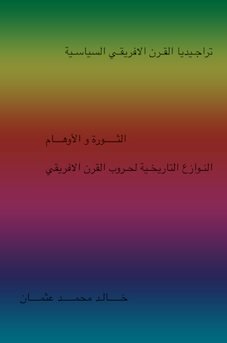 For example, I learn from them although I have written most of the indexed pages, as if I am reading them for the first time. That means, we learn something new every time we read the same article once more. This also indicates that the mind-set while reading changes every time. Ezine Acts Art Stores - home-biz-trends.com/ezine-acts-art-stores.html: Additional tips and techniques are included on this page with information on the art stores and how to use such stores to build a business. While the art stores present different samples of fine arts, but the content of the indexed page on the Ezine Acts Fine Arts is educational, whereas you could use the hints included to make the presentation of the art stores of yours more interesting and thus getting some new business ideas to improve your life. 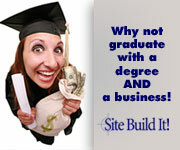 The idea begins with a search too to choose the best fine arts store relevant to your business. For example, if you are publishing a photography website, as you see through the Ezine Acts Photography, you could use poster stores to support your photography website and make additional income. The art store of the Ezine Acts Fine Arts is on a business page to view arts you may be interested to get to hang on your walls, or use for other purposes. 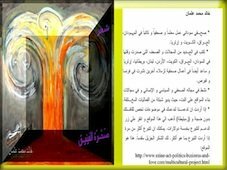 They include Arabic Phoenix Poetry, Arabic Poems, Phoenix Order and Wakening of the Phoenix. However, the best of it is that it explain how to use art and get art stores to sell your paintings online, or to get affiliated with to make additional income, or to simply use art as a theme for your business website and search it comprehensively to build a small business from it. 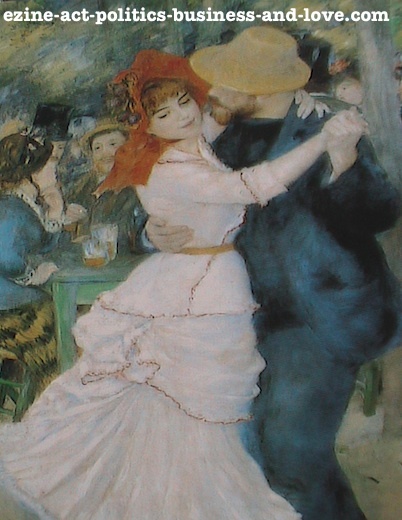 Ezine Act's Fine Arts: Dance at Bougival, Suzanne Valadon and Paul L'hote, 1882-1883, Pierre Auguste Renoir. Ezine Acts Caricatures - home-biz-trends.com/ezine-acts-caricatures.html: Many caricatures on the Ezine Acts Fine Arts Index could make you laugh and read funny phrases included with them. However, the idea is that the page as an example could help you use this art the best way you could to either enjoy your time, or work it out in a business you love to do. There are many rendered images showing the features of the subject in funny ways, whether exaggerating, or simplified. They are not all descriptions of folk in humorous positions, but along the way of humor, even dogs and monkeys do that in the images. But, although they are intended to make you enjoy your visit and read more of the Ezine Acts Fine Arts, the clear message is that you should think of such hobby as a passion you could use by a way or another to work that hobby as a business of your own. Ezine Acts Cartoons - home-biz-trends.com/ezine-acts-cartoons.html: This page and the page above extends into each other to provide more enjoyable cartoons. As for the Ezine Acts Fine Arts, it works as a supportive page to link to and from it to other art relevant pages, which enhance the overall web presence of the art pages. Although the cartoon is simply a form visual art using two dimensions in its technique and through its message, but there is an argument here on the Ezine Acts Fine Arts. The argument is whether cartoons are different from caricatures, or not. The drawing techniques and the actions each one of them performs along with the subjects revealed are almost the same. There's another question… which came first? In our world, we knew both of them at the same time during the fiftieth of the last century on magazines and newspapers. The caricatures we knew that time were mostly political to criticize dictatorial political leaders. So, this genre of fine arts has fixed on the mind with its political message. The cartoons that time carried adventures, as the Adventures of Tintin, the 5 spider boys led by Basil, Zorro, Tarzan and the Ghost and Patman. So, they fixed on our minds as adventurous. However, they belong to many genre in the genres of literature. With no complexity intended, each genre of art has a genre inside it to refine it. However, through the modern implementations of cartoons, changes occurred and they have been used as semi-realistic, or nonrealistic drawings or paintings for critique, or satire, humor, or caricature. So, many of them become caricatures. It is for this reason I am thinking right now while editing the Ezine Acts Fine Arts and on this paragraph, I am thinking of getting a literary website of its own with the renovation of such notions. This is in turn an inspirational lesson for you to take things that interest you seriously and use them as explained on the entire index of the Ezine Acts Fine Arts to make your life more better. 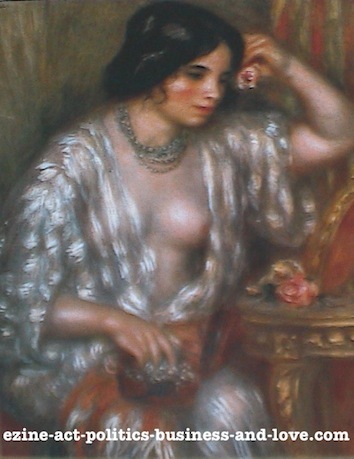 Ezine Act's Fine Arts: Gabrielle with Jewels, 1910, Pierre Auguste Renoir. Ezine Acts Exhibiting Online - home-biz-trends.com/ezine-acts-exhibiting-online.html: Exhibiting online could be more useful for you if you are artist. You should also take care of the insights you need to take offline painting shop online. The 10 Hints to Exhibit Your Artwork Online could be applicable for you. See the link to the hints below. How to map your passion, or your knowledge? How to search it to focus in the narrowness of it? How to write about your arts a series of useful articles? How to optimize the articles while writing each of your arts articles? How to add images to your articles to make every page works as exhibition? What you want to do while working with images on your exhibition website? What you want to write on every image you upload to use with your articles? How to make each article interesting and useful for others to enjoy it along with the arts exhibitions? The 10 Hints to Exhibit Your Artwork Online indexed on the Ezine Acts Fine Arts below has some techniques, but the main page has insights full of exercises. The insights work as the same as for selling paintings online below. If you were not interested in turning your art hobby into successful business passion through a niche you love, you could enjoy, anyway, reading about anything art, visual or performed that you enjoy reading about, viewing in some samples of pictures and paintings and watching in video presentations. Ezine Acts Fine Arts - home-biz-trends.com/ezine-acts-fine-arts.html: This is where you are, if you were still reading until this paragraph. Hey, congratulation on your passion! You are well determined to follow the pointers on the Ezine Acts Fine Arts to discover more hidden pearls inside yourself. This is good for you, as you could use the same persistence the way explained on many indexed pages on the Ezine Acts Fine Arts to carry on with the best passion you have, study it and choose it carefully and then build it using the best website building and optimization tools in the world to live more pleasures in your life. Fine Arts' stores and video presentations along with content at this page come to build positive first impressions and to fire away the bad feelings of the day. What about sharing your thoughts about fine arts? There are some artworks in pictures and videos to enjoy the fine arts' presentation. Ezine Act's Fine Arts: Women Dressed in Algerian Custom, Pierre Auguste Renoir. Ezine Acts Paintings - home-biz-trends.com/ezine-acts-paintings.html: There are many paintings and other artworks on the Ezine Acts Fine Arts Index to enjoy. You can even learn from them how to design paintings on some other products or in video products online the easy way. Read this useful information to help you get your artworks online on a website of your own. Some videos here help you get useful insights to optimize your paintings and monetize them. Ezine Acts Sell Paintings Online - home-biz-trends.com/ezine-acts-sell-paintings-online.html: You knowledge counts here with the included lessons on the Ezine Acts Fine Arts and the other indexed pages to build your art passion a theme focused website and then use your paintings, or paintings provided by other international art companies to make additional income. The indexed page on the Ezine Acts Fine Arts shows you exactly how to do that providing the guidelines and the art stores model, so the implementation would be just a snap. French Paintings - home-biz-trends.com/french-paintings.html: There are some paintings, I found interesting here and I hope you enjoy them. All that I did, is reading about the artists and shooting some pictures from their paintings and then building pages for them including some art stores to present their arts. Some of the French paintings are old. I included them by topics to support all of the French paintings I have for each individual French artist. So, from the models and the insights included you could see how to use such passion for arts to improve your life by only using the all in one place tools to build that passion. Malerier - home-biz-trends.com/malerier.html: Malerier in Danish, Paintings in English! This is simply an interpretation to the word paintings in Danish. Since the Ezine Acts Paintings page is running in English, as the entire pages of the website, there is another version of this page by Danish language. However, this version is different from the English version. The description of the Malerier page says in Danish, Er du interesseret i at sælge dine malerier eller andre kunstige produkter online? Få gratis konsulent her. 10 Hints to Exhibit Your Artwork Online - home-biz-trends.com/10-hints-to-exhibit-your-artwork-online.html: The first thing to do to exhibit your artworks online is to know the best art exhibition tools to use to execute this job. The tools should teach you along the way while building a content focused website for your artworks. And not only that, but they should provide the insights to write well focused articles about your artworks while building web pages. They should also reveal how to carry the optimization process while building the pages and lead you along the way to build automated content. In addition to the Ezine Acts Fine Arts, you may also be interested in the following indexed articles on the Ezine Acts Articles (site map 9 A), with its extension into Ezine Acts Articles Section (site map 9 B), Ezine Act Articles Index (its map 9 C), Ezine Articles (site map 9 D), Submit Articles (site map 9 E) and Submit Ezine Articles (site map 9 F). If you found the Ezine Acts Fine Arts useful, please either, tweet, or follow, or like it using the small buttons you see below. Pin one of the Ezine Acts Pictures on this page, or at the Ezine Acts Galleries and Pictures for Your Website. Thanks. The website building, automating, optimizing and monetizing tools on the image below empower the Ezine Acts Fine Arts and the entire Ezine Act Blog at Khalid Osman's Network. You can use them all combined in one place to build any fine arts in your mind and improve your life.